Alex Steward’s moniker, Umber, releases his third release and first through the German based Oxide Tones record label. This is an album that is instantly likeable. Umbers previous releases were unmistakably Umber, he has a sound all of his own. This album is slightly different to his other 2 releases, in that this has a more ambient/drone feel to it. There are 7 songs on this release ranging between 3 and 5minutes in length. The tone of the album is set right from the very first track, ‘Sunshine Young’ has this beautiful drone drifting in and out which adds some guitar melody half way through and builds to a much bigger, lush sound before drifting away. Track 2, All The Ships, has some nice field recordings mixed with various drone/ambient soundscapes. I particularly like Track 3, Through Rocks and Fog, it has a more experimental feel to it with sounds that I suspect have been sampled by Umber and are used to great effect on this track. Track 4, The Warm Calm and also track 5, Gott Mos feature the violin of Sophie Greene, this adds a slightly different dimension to the sound and that is always a positive, at least it is with me. Track 6, Sunshine Youth, features Good Weather For An Airstrike, which I suspect is a favour returned for Alex who performed on GWFAA’s last album. The last track, Opik-Oort, is one of the shorter songs on the album and it does bring this fine album to a very fitting close. 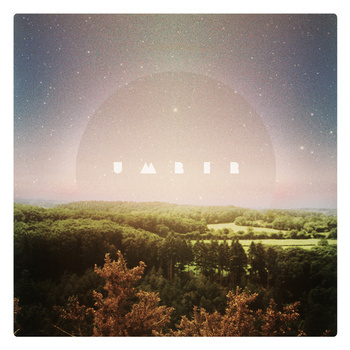 I would highly recommend this release, and previous releases by Umber. This latest release just shows a different, and very welcome, dimension to the talents of this great artist. This entry was posted on April 18, 2013, 10:11 pm and is filed under Playlists. You can follow any responses to this entry through RSS 2.0. You can leave a response, or trackback from your own site.